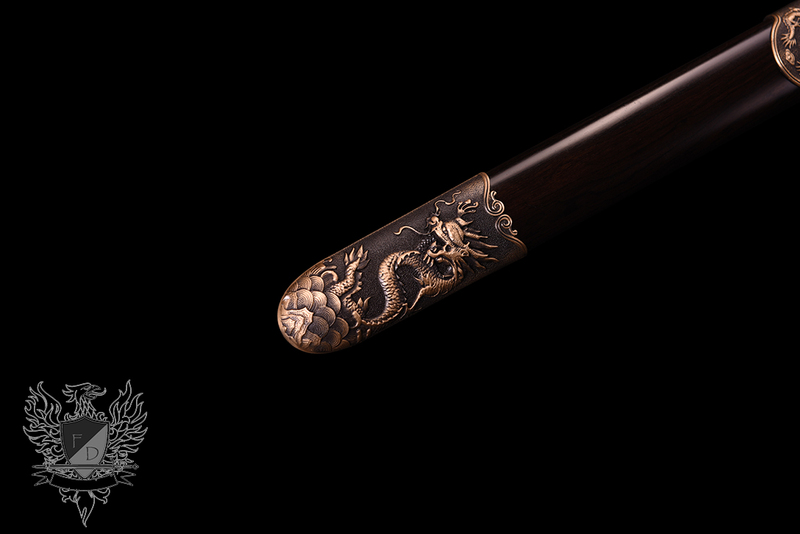 Whether you are a student of the Chinese martial arts, a sword scholar or simply a collector who loves a classic design like this one, the Dragon Sword sets a new standard. 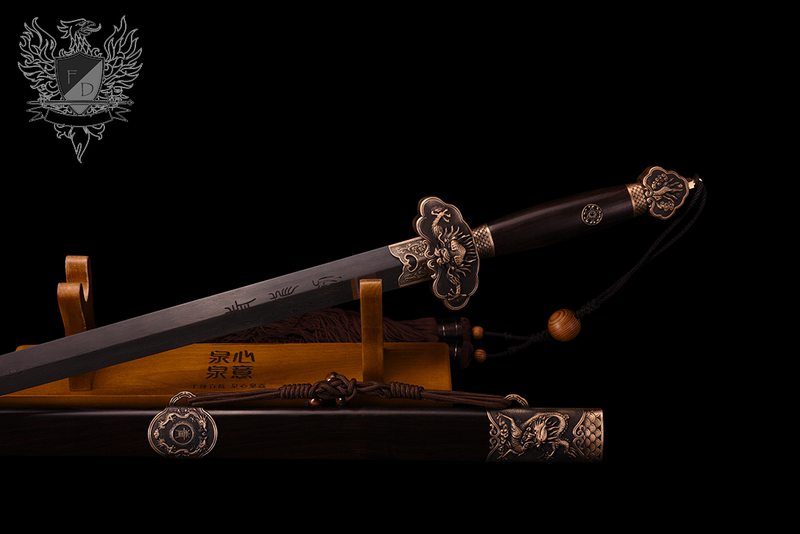 Weighing just 2.64lbs - the beautifully hand forged and folded 1095 carbon steel blade has it all - speed, sharpness, strength and precision - and is beautifully engraved with traditional Chinese characters. 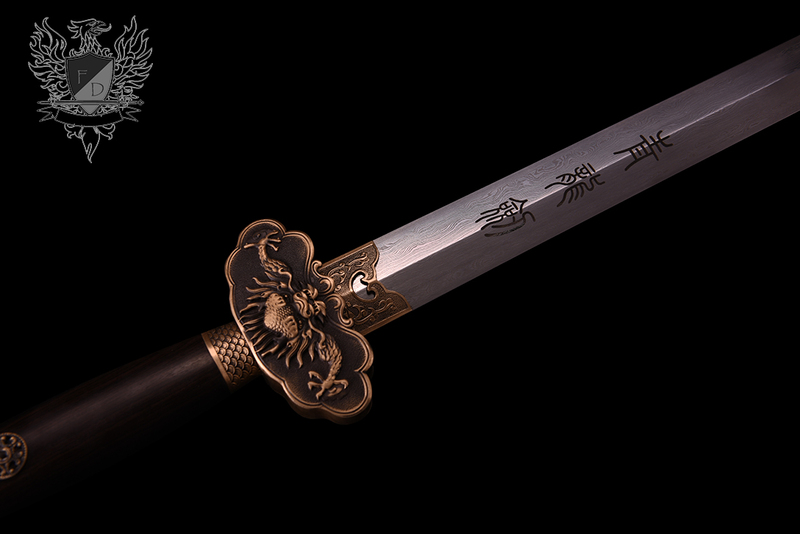 Background: I've practiced sword since 1980 and have worked out nearly every day since I started. 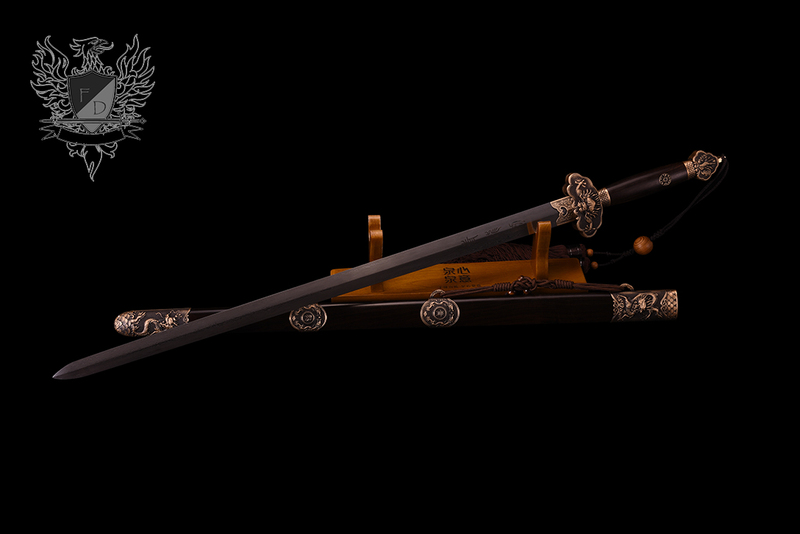 I have an FD Custom Katana (my 4th katana since I began) and a "Tinker" rapier that Michael made custom for me. I take my swordwork seriously. 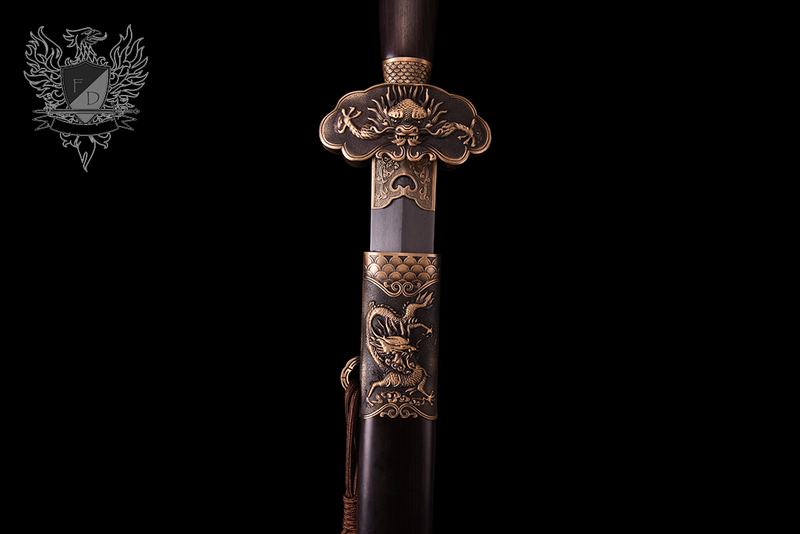 After studying Tai Chi for many years, I decided a jian would be a nice addition as a straight sword and settled on the FD Dragon Sword. I ordered the sword on March 19th and it arrived today-- 3 weeks after the initial order. The SBG folks responded to my questions and inquiries quickly. 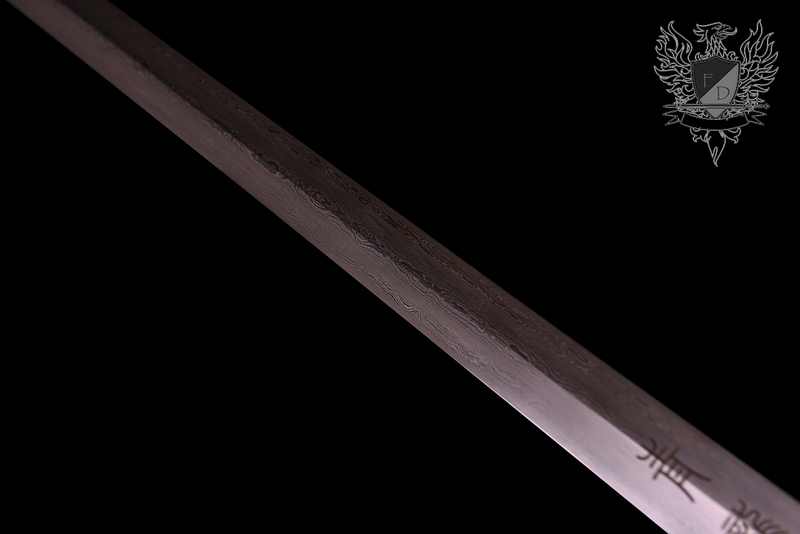 I've spent just a few hours with the sword so far, but can provide an initial overview. 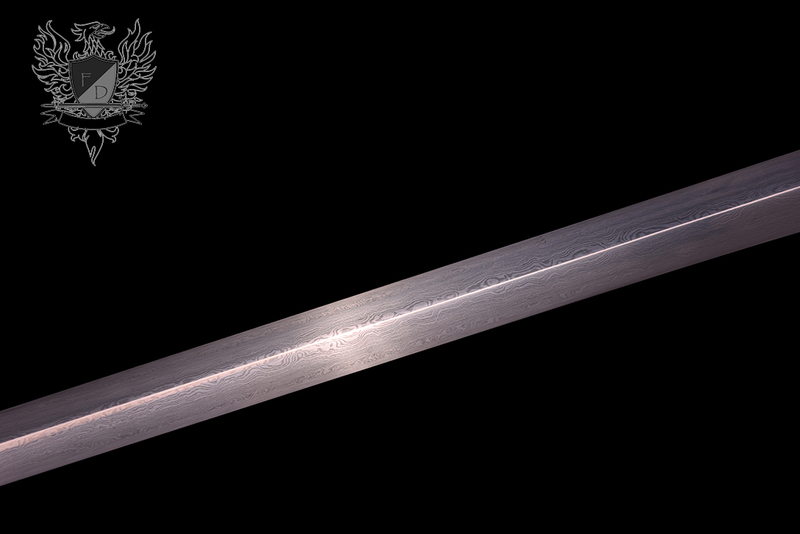 The sword looks beautiful and seems tightly made. 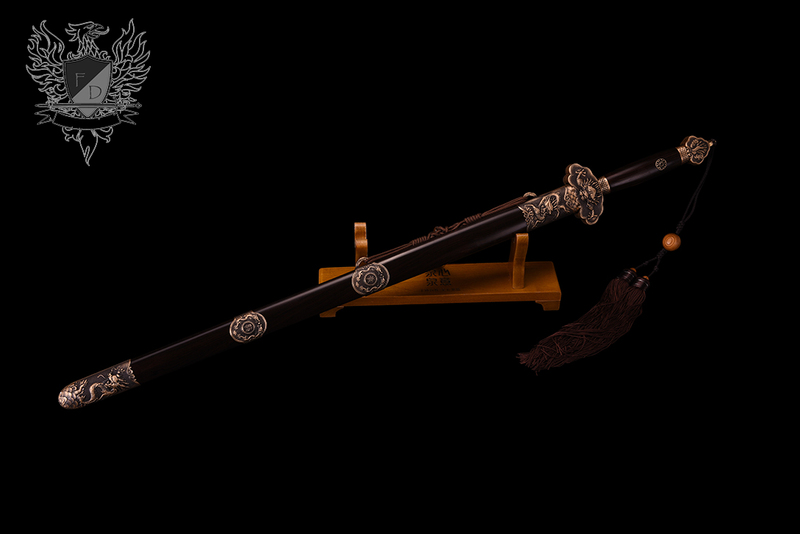 The attention to detail on the assembly and fittings are better than the Custom Katana, which is pretty nicely made. 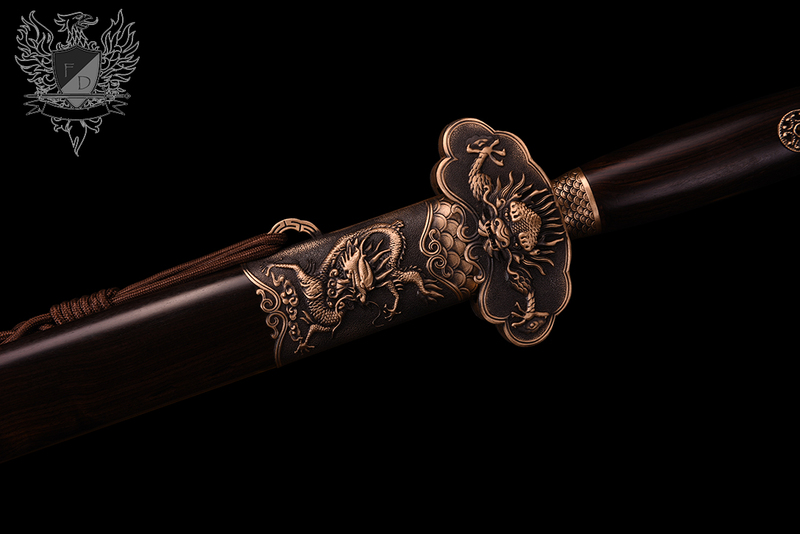 (Perhaps some sort of national pride on the part of the Chinese smith). The blade is stunning to look at. 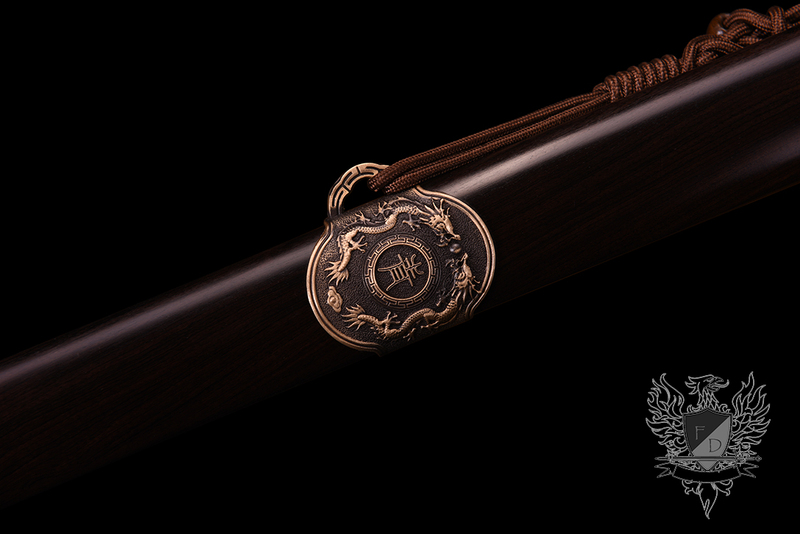 The scabbard is wood quite solid, nicely polished with no obvious flaws. The cord and knotting are exquisite, though I removed the cord from the bottom, as I didn't want it in my way when working out. 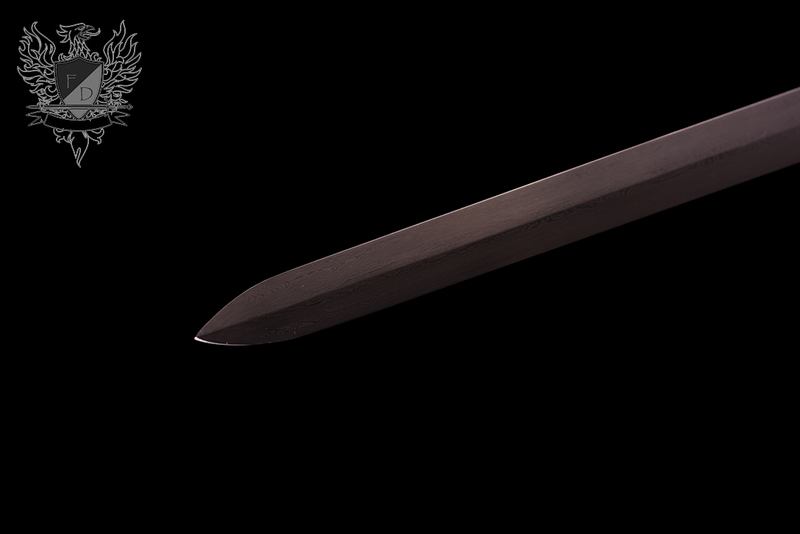 At 2.64 lbs the blade is heavy and feels so in motion, and the balance point is a distant 4" from the hilt. As a result, the sword is not as quick as some others. 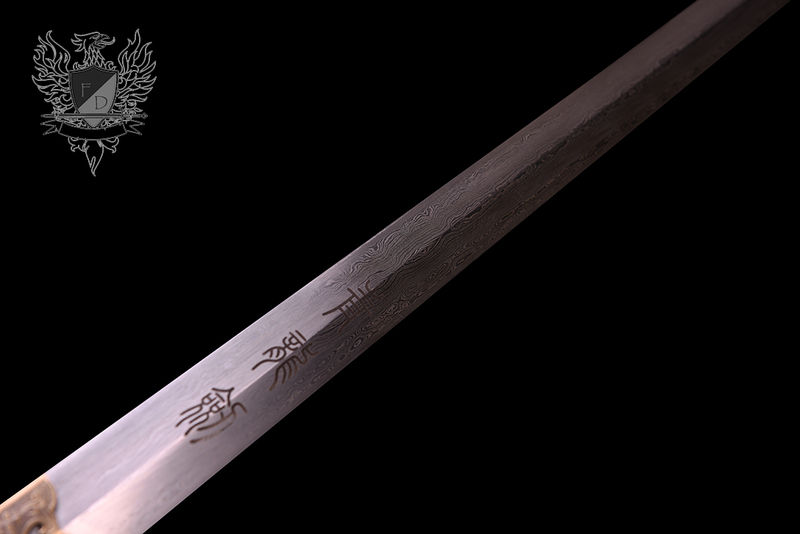 When wielded broadly, however, the sword is fast, moves smoothly and really wants to cut. 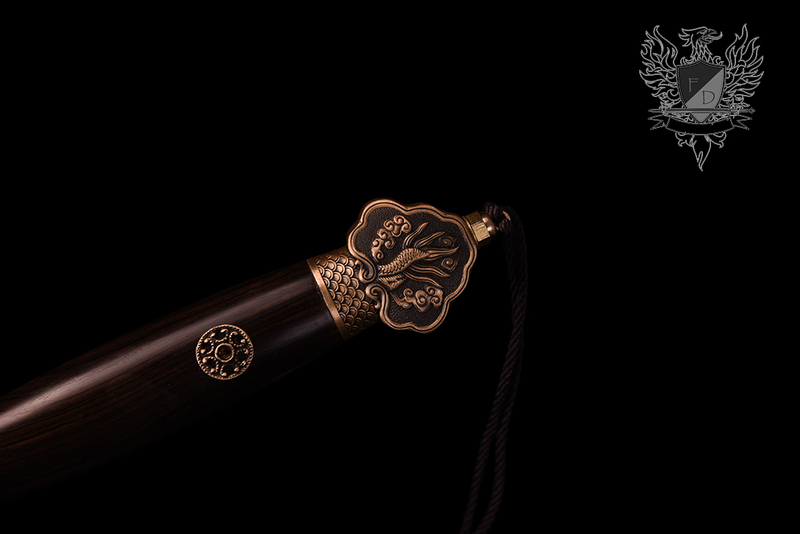 This is a no-nonsense weapon--I would not recommend it for an amateur or someone who's not completely comfortable with a ridiculously sharp double-edged sword. 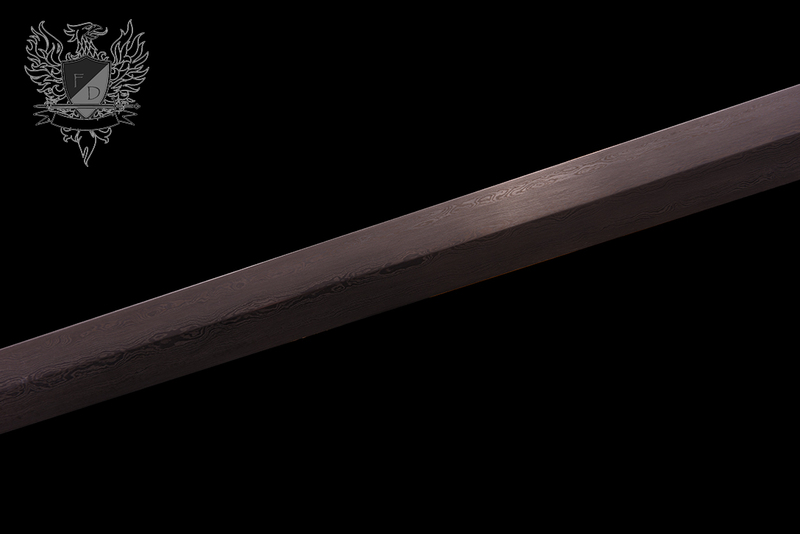 I'm adjusting to the balance and feel of the sword quickly, and expect that I'll really enjoy working with it. Perhaps more updates in the future, after I've had some more time with it. 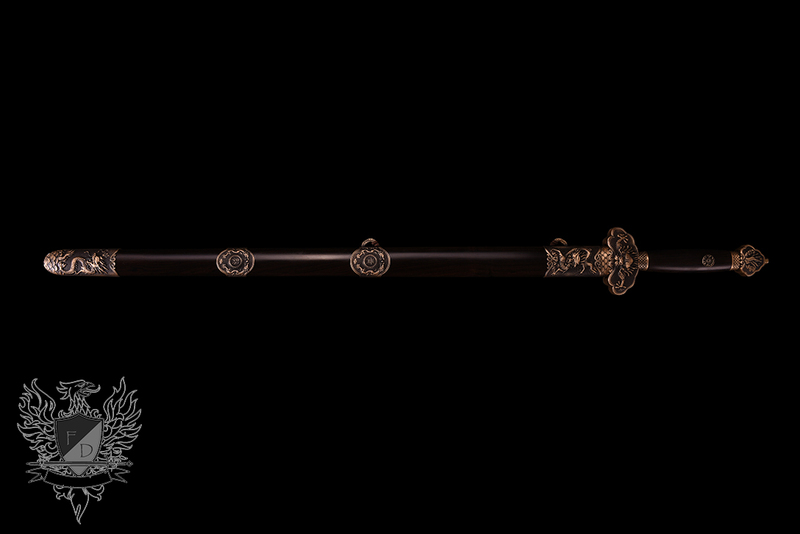 Meanwhile, nice sword.